With the creation of DC Entertainment Jeff Robinov, Warner Bros Pictures Group president, has in fact taken creative control of any and all DC characters under their banner. Barry Meyer, Chairman & CEO, and Alan Horn, President & COO of Warner Brothers made the announcement today that places Diane Nelson to serve as President of DC Entertainment. This move left previous President & Publisher of DC Comics Paul Levitz to segue back into writer, contributing editor and overall consultant to DC Entertainment. In the words of Barry Meyer and Alan Horn the move was made to, "fully realize the power and value of the DC Comics brand and characters across all media and platforms." Diane Nelson's knew role is described as, "Nelson will report to Jeff Robinov, President, Warner Bros. Pictures Group, in order to best capitalize on DC Entertainment’s theatrical development and production activities and their importance to drive its overall business with each of the divisions of Warner Bros." What this news really boils down to is branding and getting production moving forward on the many DC titles WB that have been developing for far too long. Namely, Superman, Wonder Woman and The Flash. 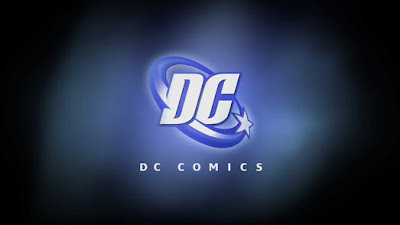 The creation of DC Entertainment will most likely not effect DC's current status with the graphic novels and comics. Well at least I hope not. Paul Levitz being moved from President to writer/consultant will allow his expertise on the history of DC characters to be utilized, while not allowing him to stall these projects any further. The press release gives some nice encouraging words to Levitz who has been relieved of his title since 2002. It said, "Levitz will be called upon for his deep knowledge and more than three-decade history with DC Comics, both as a comic creator and an executive." Robinov did touch on how the creation of DCE would help to make DC live up to its potential. He said, "The prioritization of DC and the creation of DC Entertainment is a great opportunity that reaches far beyond the film group. There are endless creative possibilities to build upon the many significant successes already achieved by my colleagues Kevin Tsujihara and the Home Entertainment Group in the videogame, home video and direct-to-platform arenas and Bruce Rosenblum and the Television Group in live-action, animated and digital series. Collectively, we have the ability to grow a body of properties highlighting the iconic characters and the diversity of the creative output of DC Comics."